Skip the hustle and bustle on your next vacation. Gather your girlfriends for a relaxing getaway where each of you will be treated to the next level of Unlimited-Fun®. 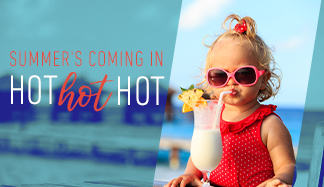 The Sunscape Resorts & Spas Girlfriends Getaway Package is valid for all new bookings made from now through December 22, 2019 for travel through December 22, 2019. Package cost is $75 per person, per stay. Price is based on per person, per stay. Blackout dates and restrictions may apply. This entire offer is subject to availability and can be modified or closed out at any time. This offer is combinable with other promotions. Yoga sessions are for Mexico properties only. Complimentary room service and group photo dates and times to be arranged upon arrival to the resort.